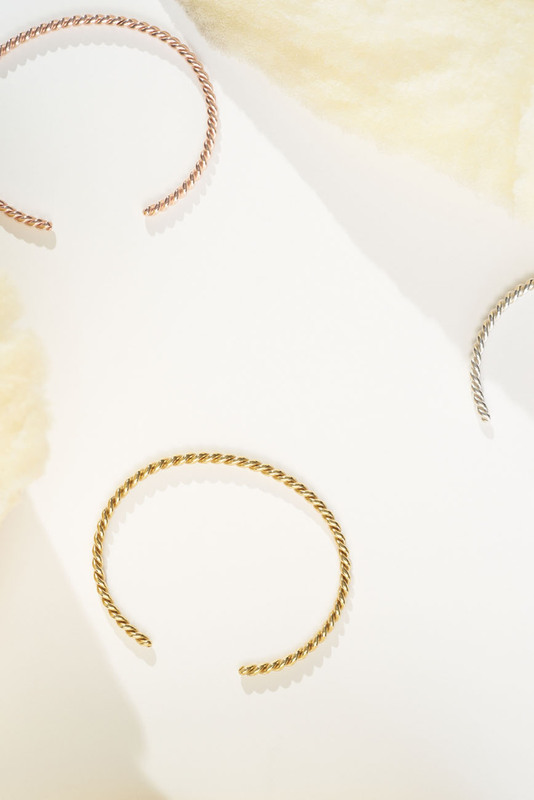 Felicious’ series are here to stay: non-seasonal and long-lasting. 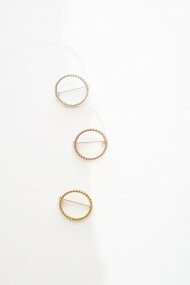 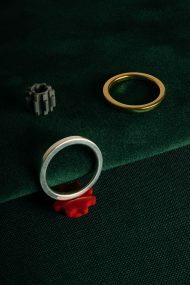 Each series consists of different pieces. 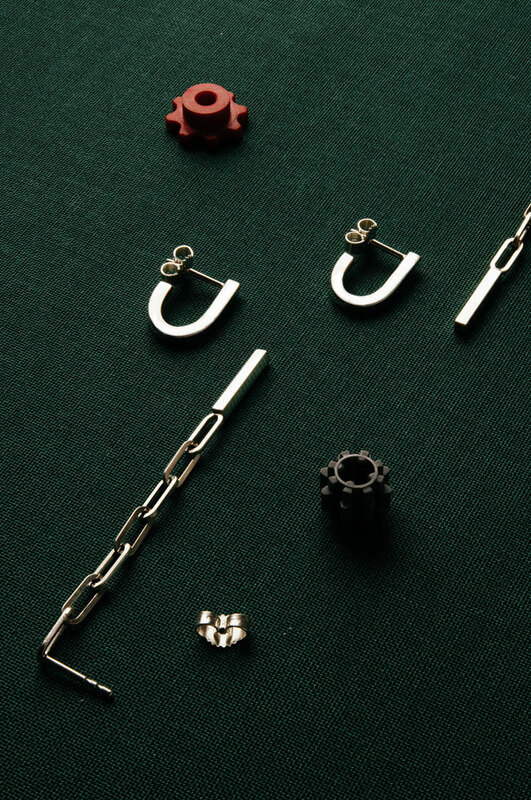 Custom-made pieces are available upon request. 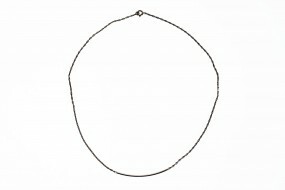 How many squares fit in one circle – a question that comes to mind with the pieces that present different creative variations of a square wire. 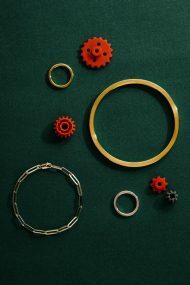 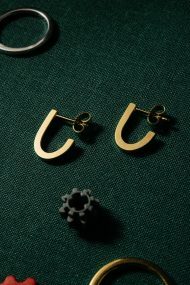 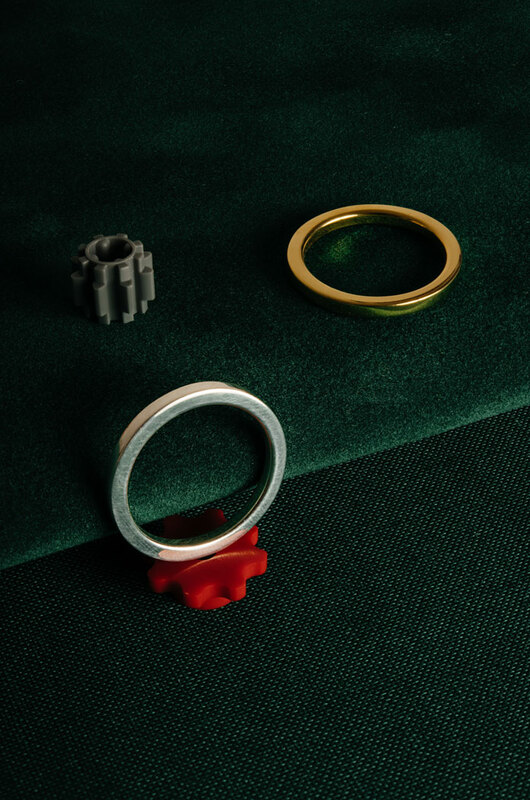 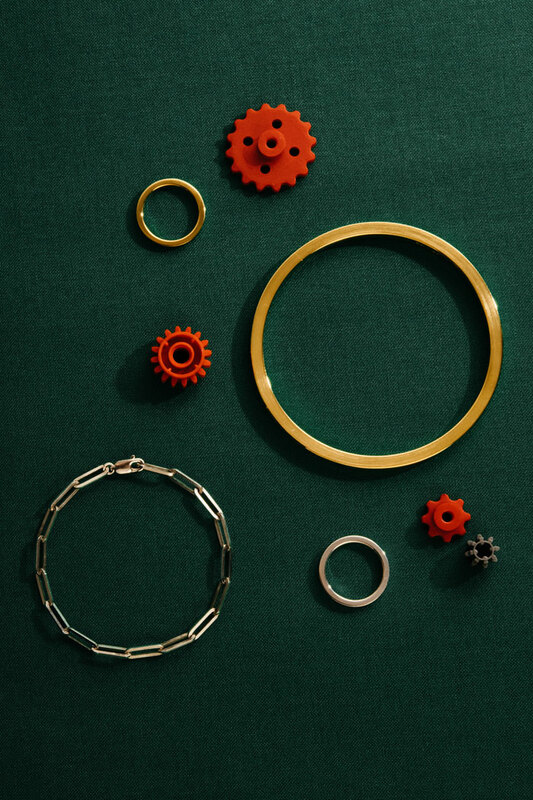 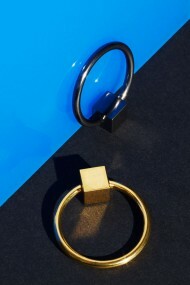 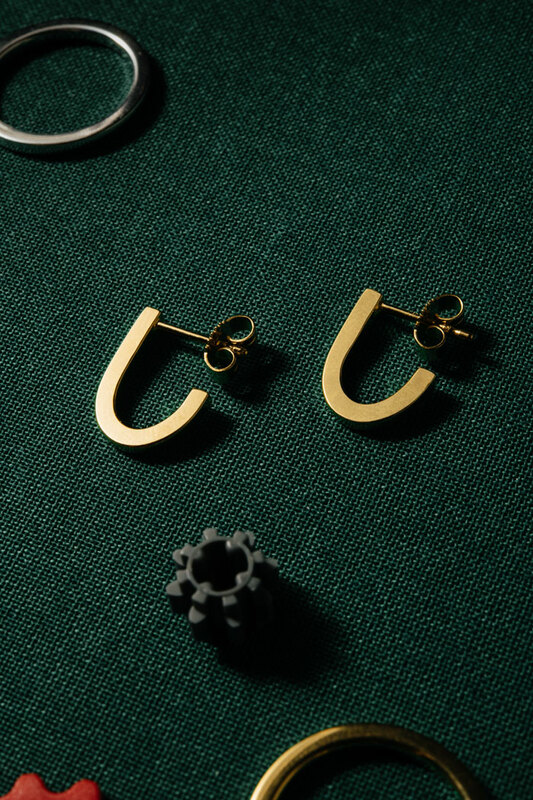 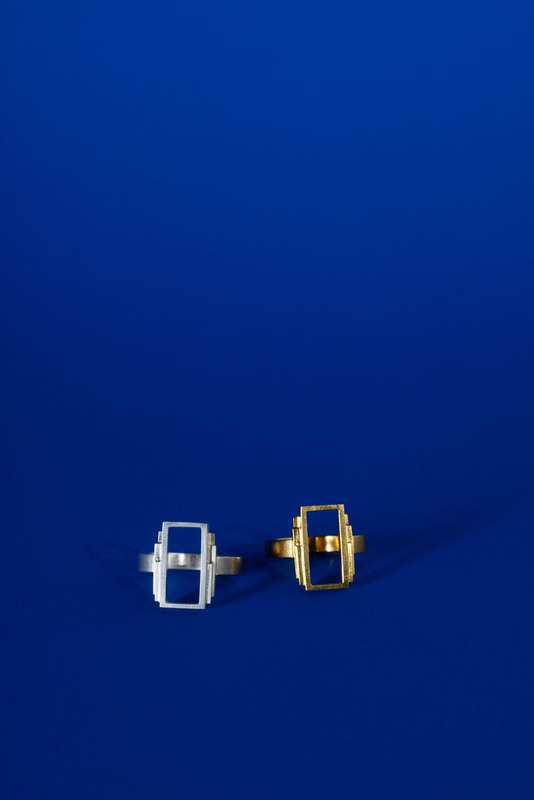 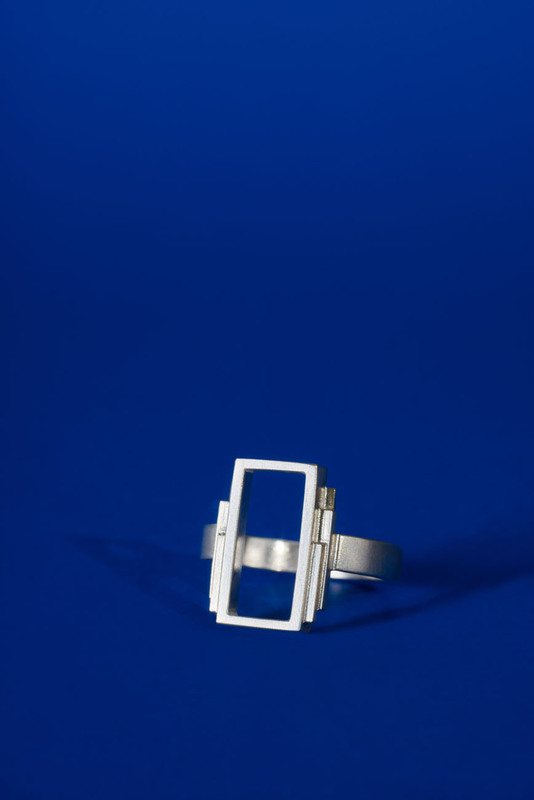 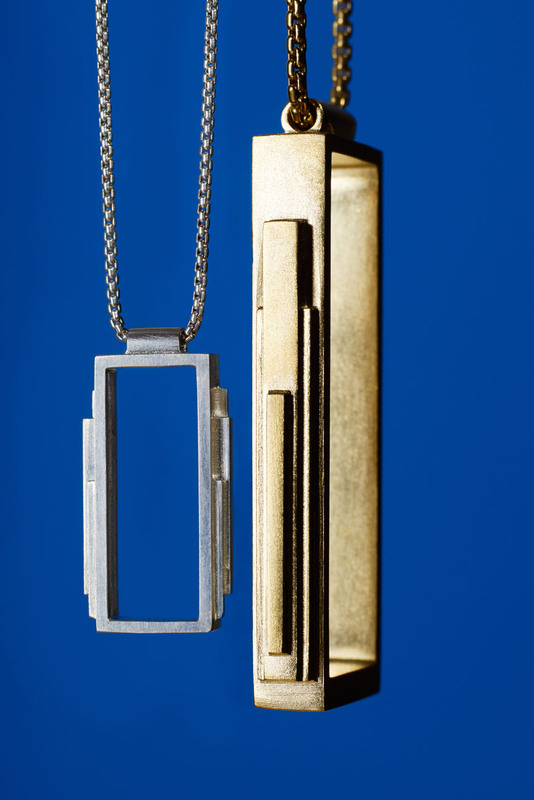 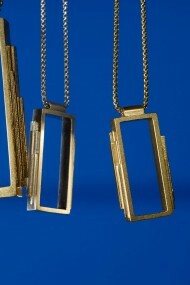 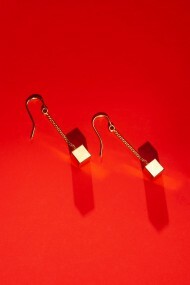 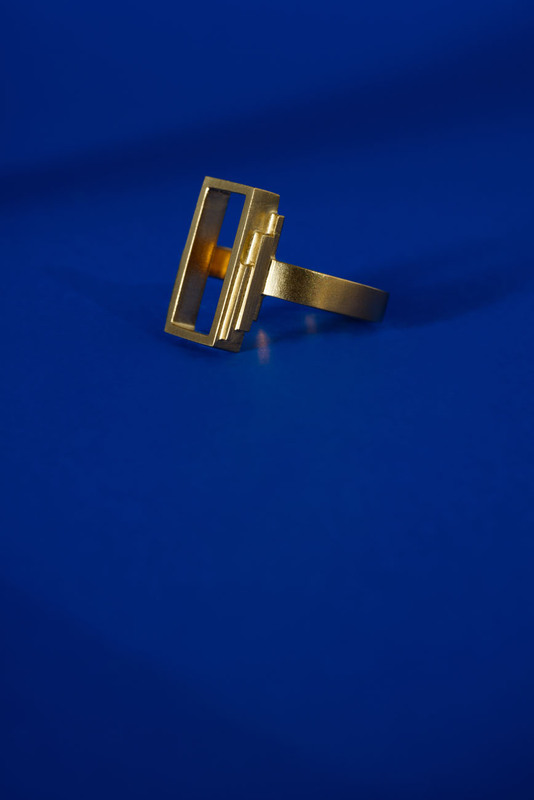 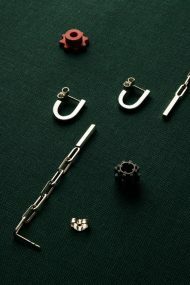 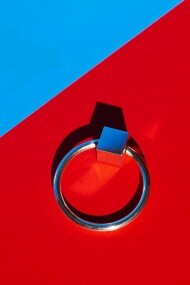 Inspired by an antique find this unisex series combines both reduced geometrical forms and moveable components. 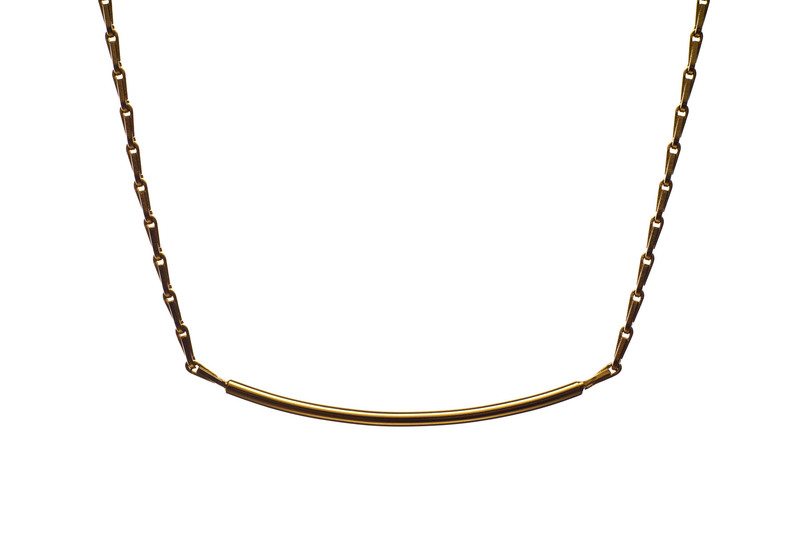 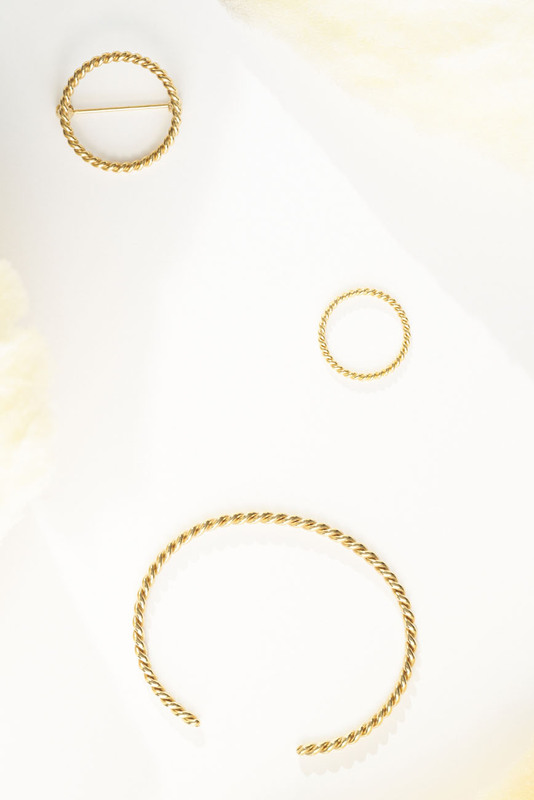 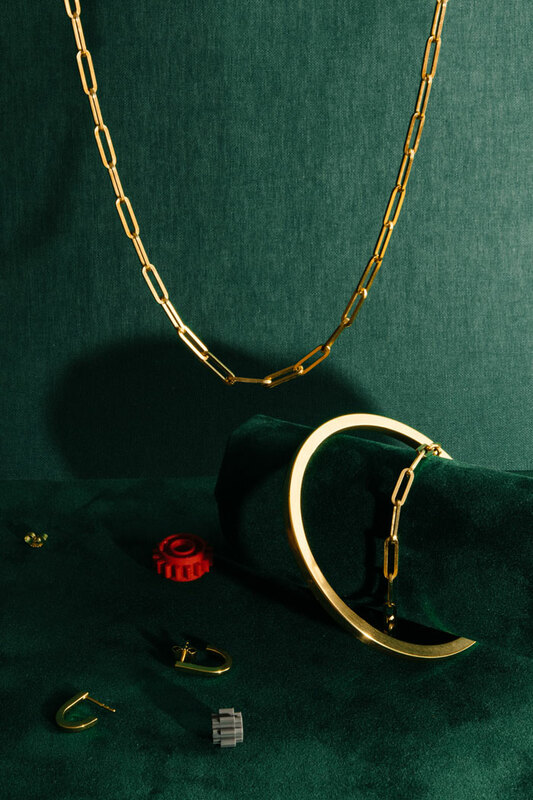 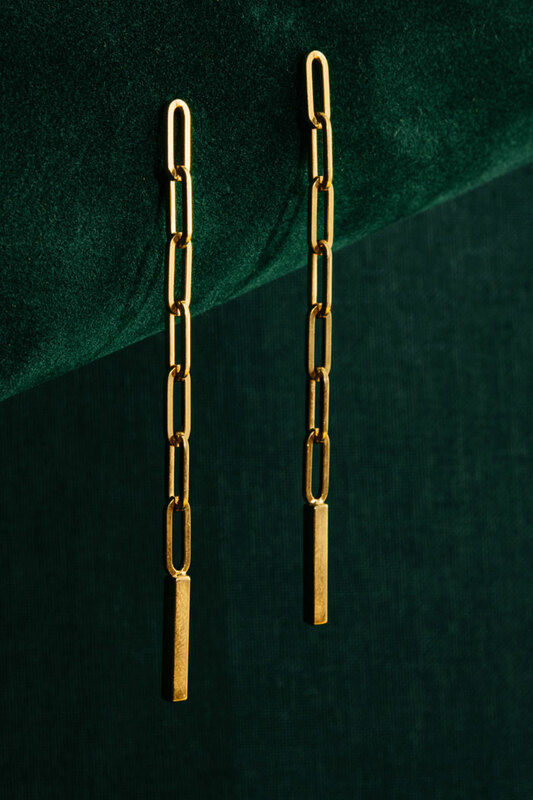 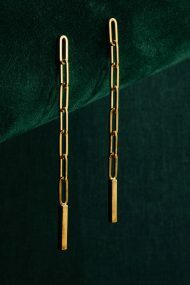 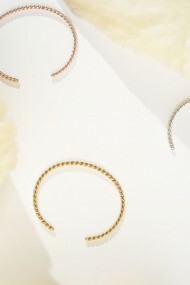 Available as necklace, ring, bangle, bracelet and two variations of earrings in sterling silver and 18-carat gold vermeil. 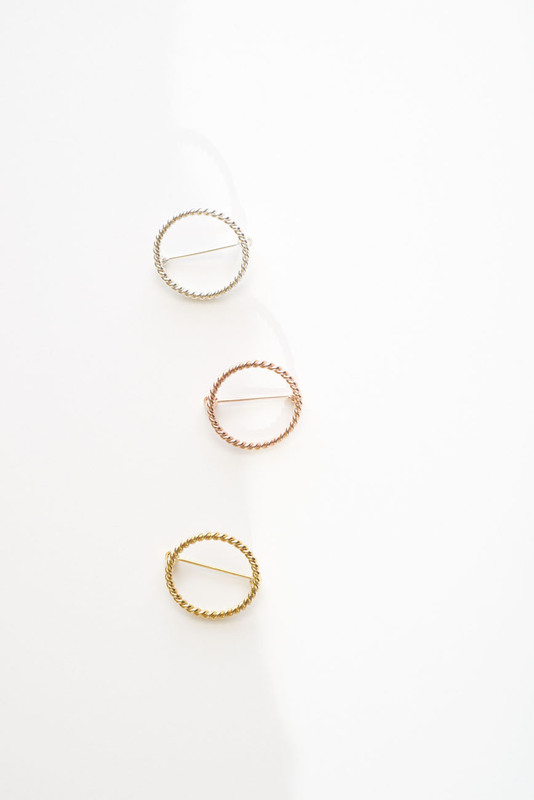 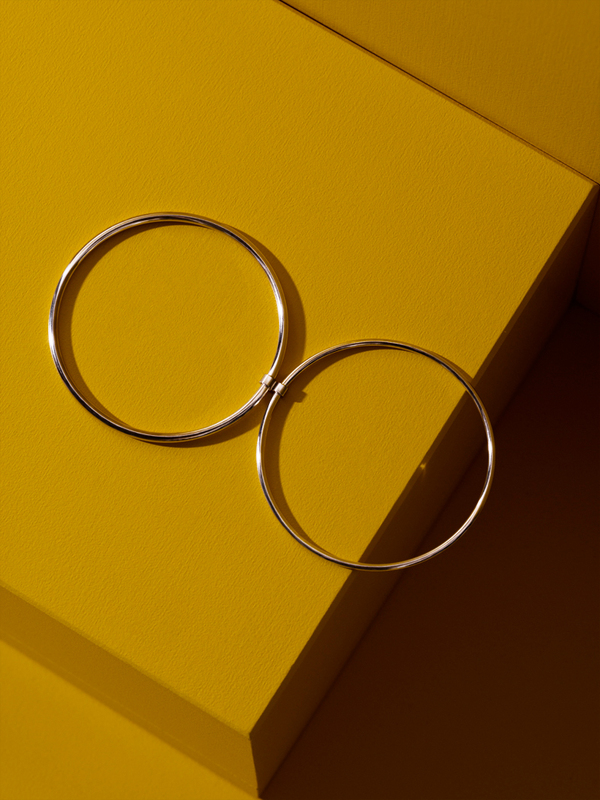 Derived from kinetic rings, this series plays with moveable circles varying in size and thickness, linked by tube segments to create a prominent detailing. 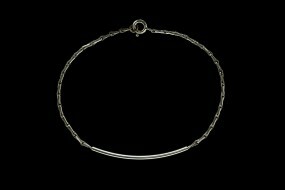 Available as necklace, bangle, ring and two variations of earrings in sterling silver. 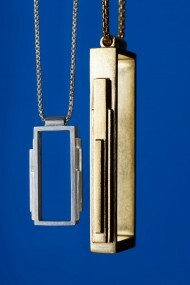 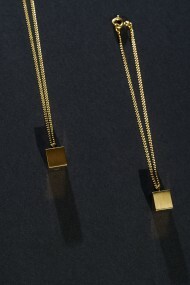 The pendant is held by a snake chain. 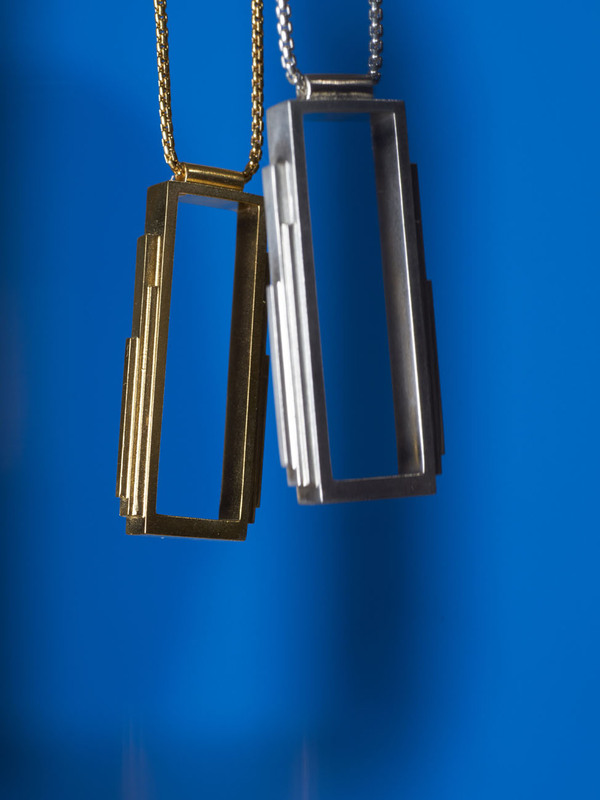 The design is inspired by the architectural urban image of Chicago: industrial struts meet Art-Deco. 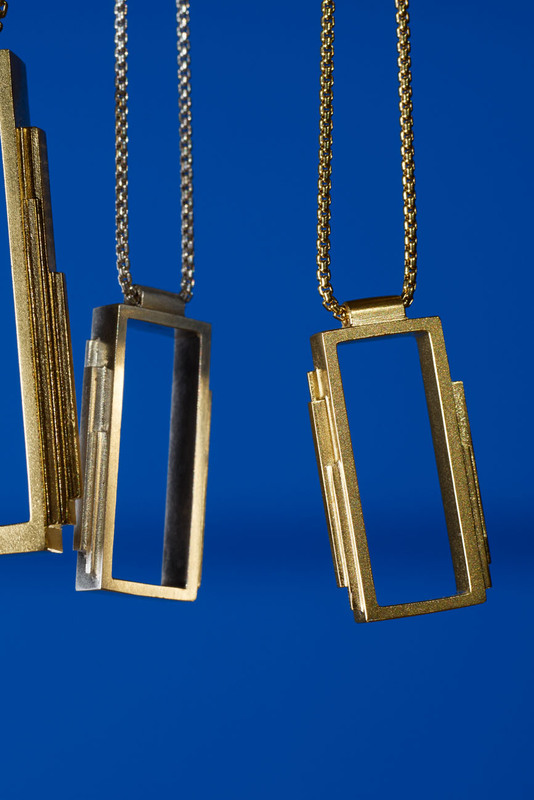 Developed in collaboration with architect Nicole Adams, the shapes are intentionally blank frames: to enframe what lies beneath. 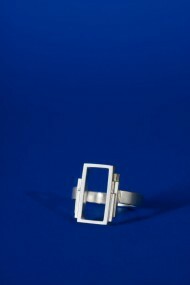 Printed in 3D and cast in silver. 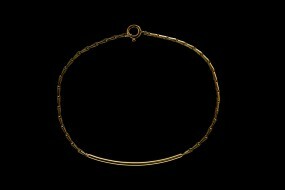 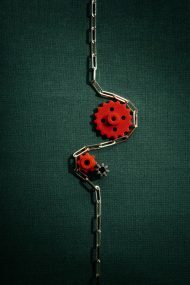 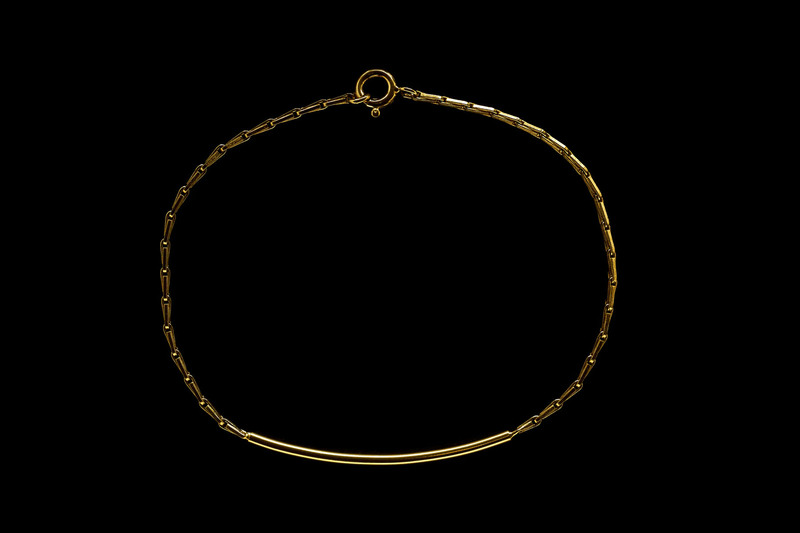 Chain material is Inca Venetian. 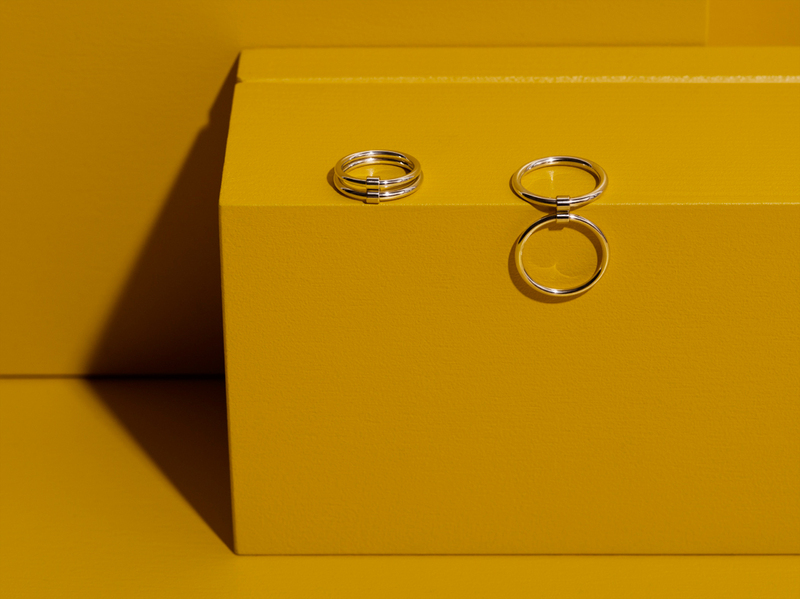 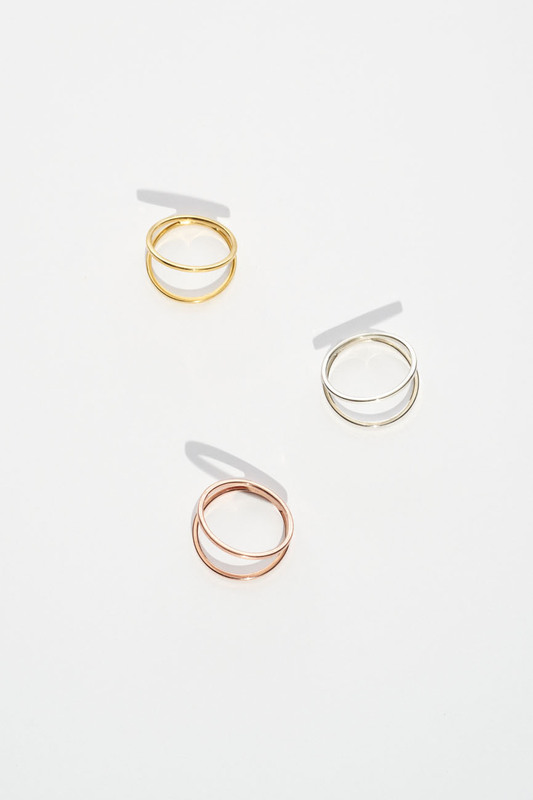 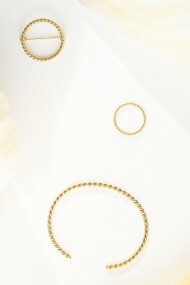 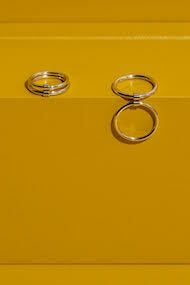 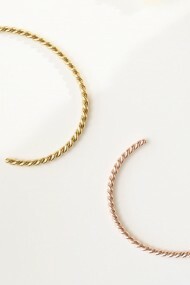 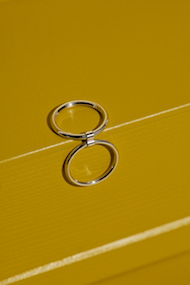 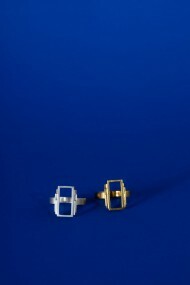 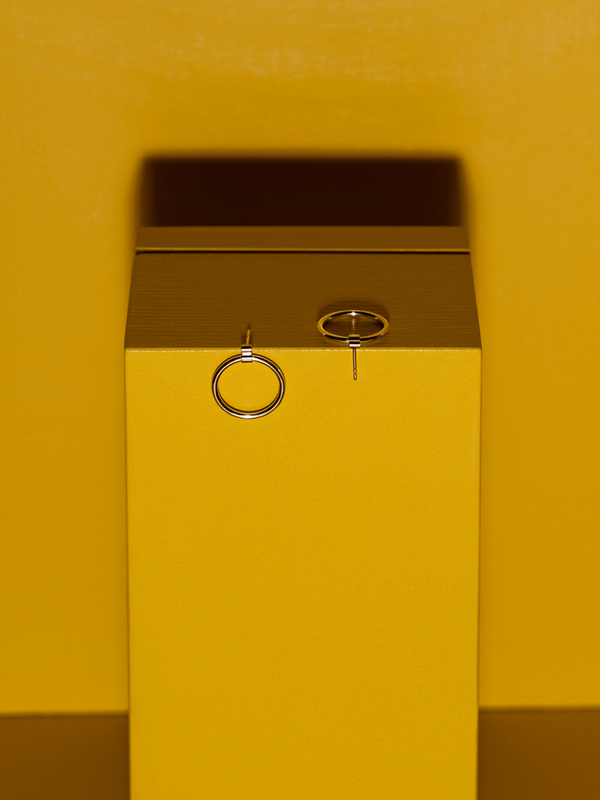 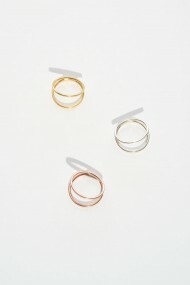 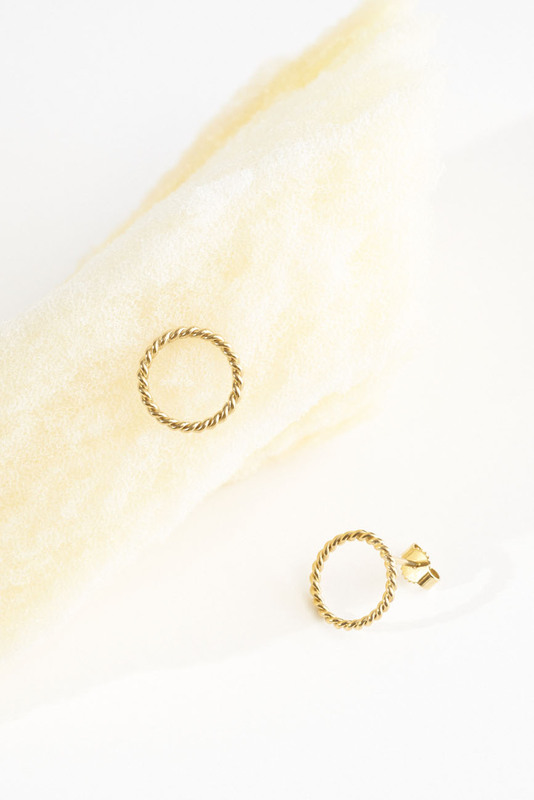 Available as ring and necklace (two variations) in sterling silver and 18-carat gold vermeil. 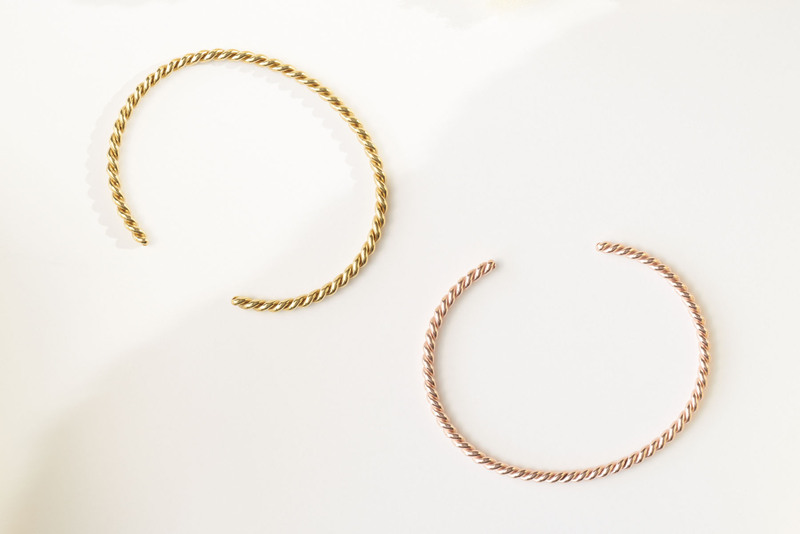 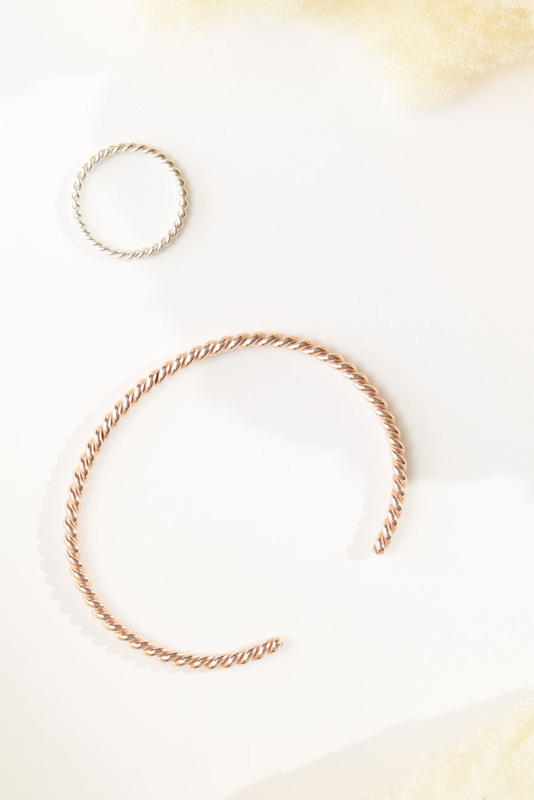 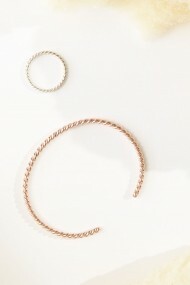 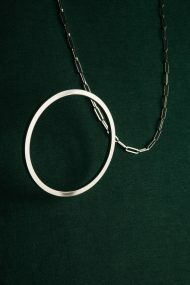 Derived from the original idea of a cord, two single strands of round wire are intertwined and form the basis for this series. 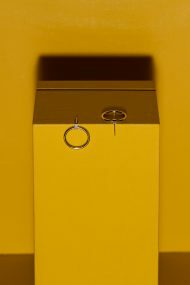 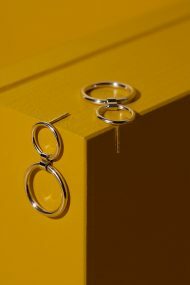 Available as ring, brooch, bangle and earrings in sterling silver and 18-carat yellow or rose gold vermeil. 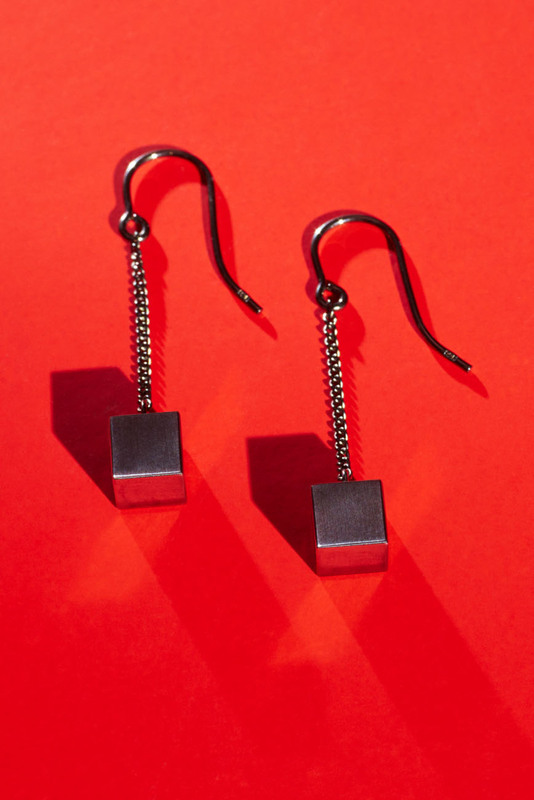 A cube is a cube is a cube – no frills needed. 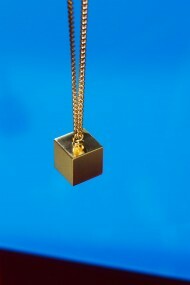 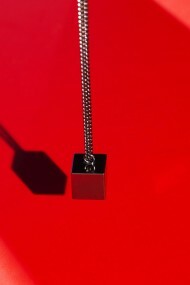 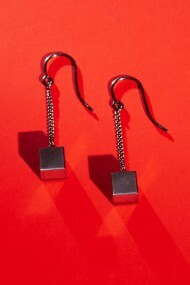 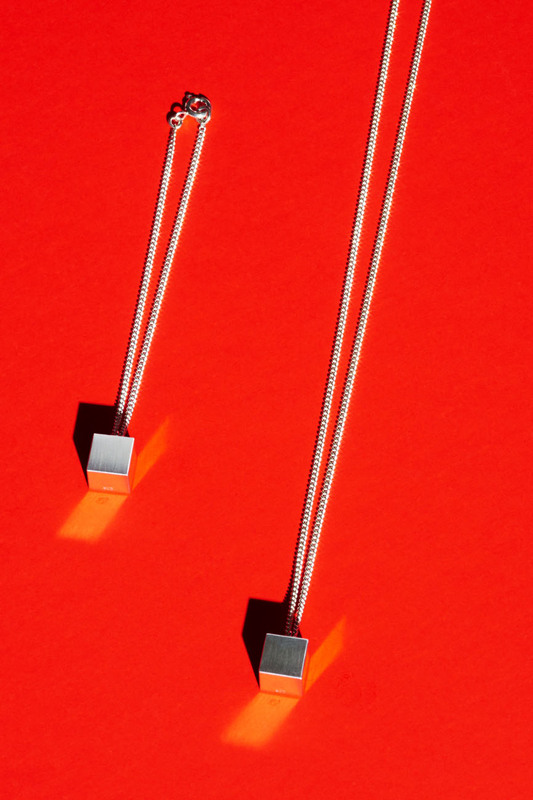 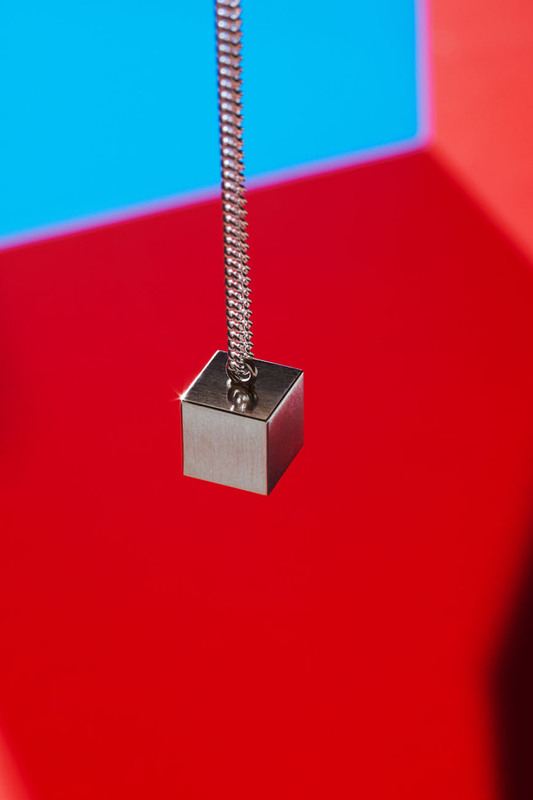 The solid cube hangs on a fine curb chain or is held by a circular wire band to enable rotation. 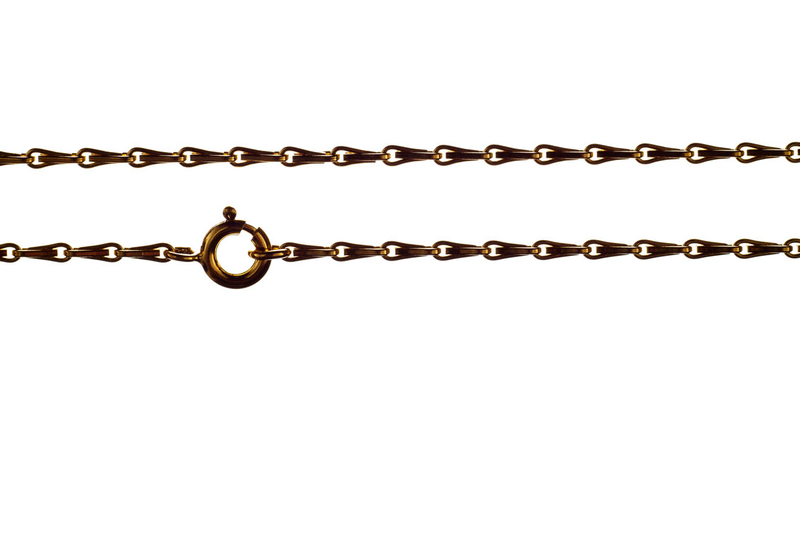 Available as necklace, bracelet, earrings and ring in sterling silver, 18-carat gold vermeil and sterling silver plated with ruthenium. 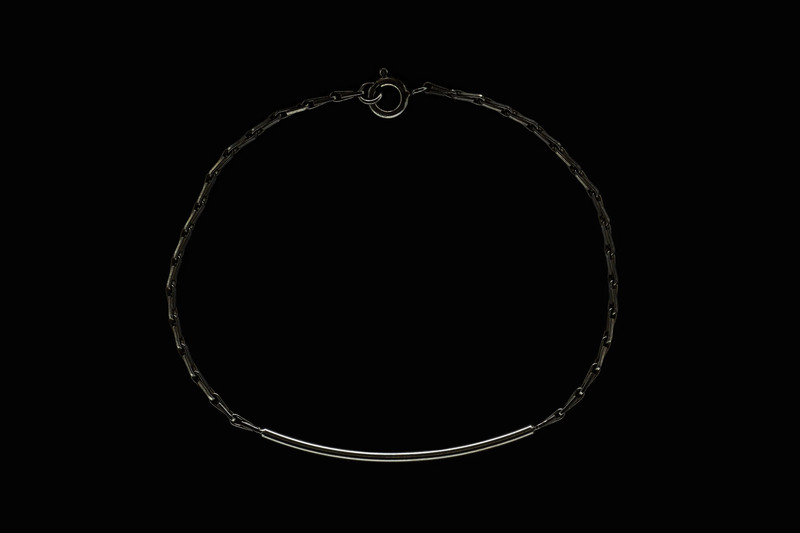 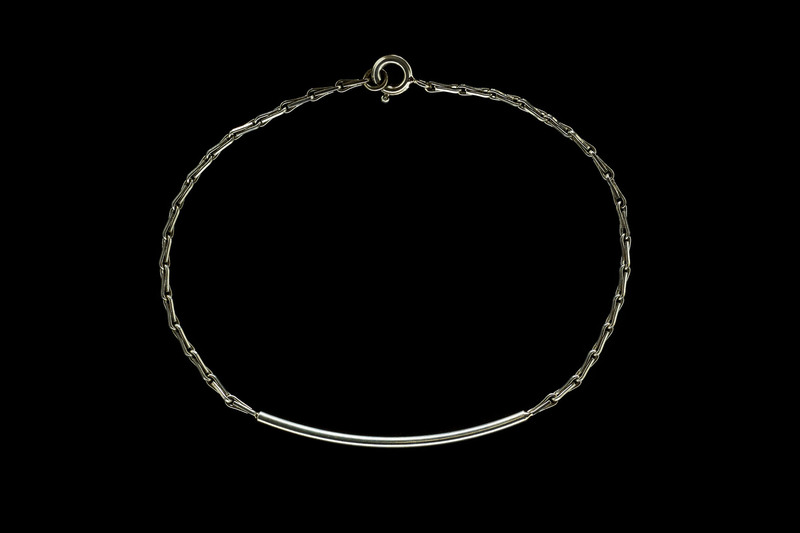 Quoting Mod’s favorite accessory, the ID-bracelet, two segments of barleycorn chain are linked through a plain, curved round wire. 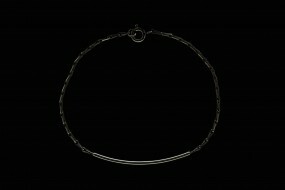 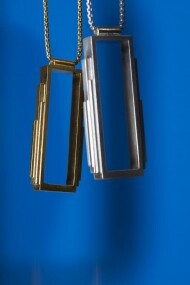 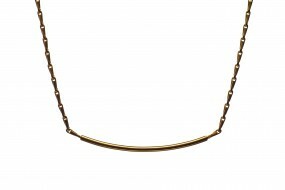 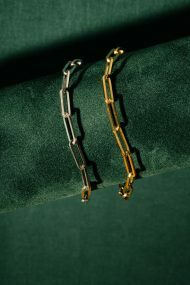 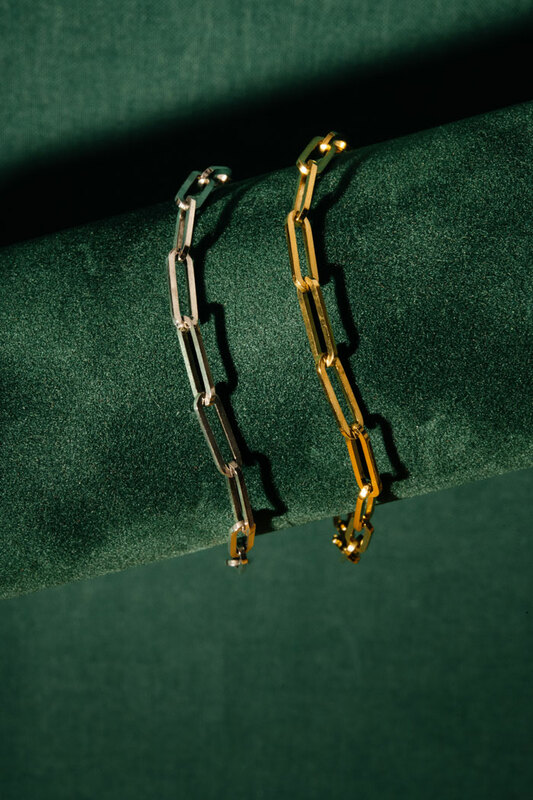 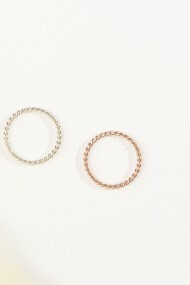 Available as wristband and necklace in sterling silver, 18-carat gold vermeil and sterling silver plated with ruthenium. 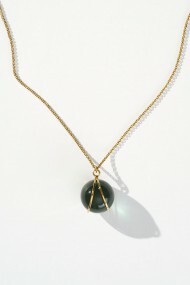 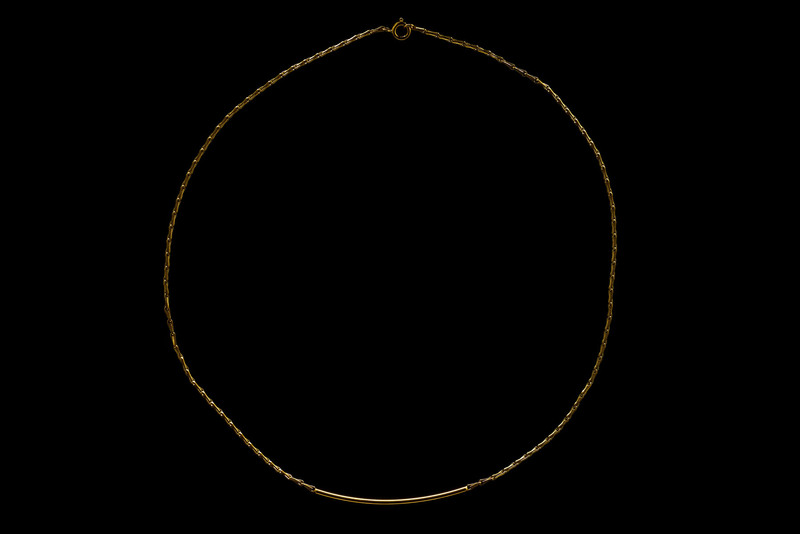 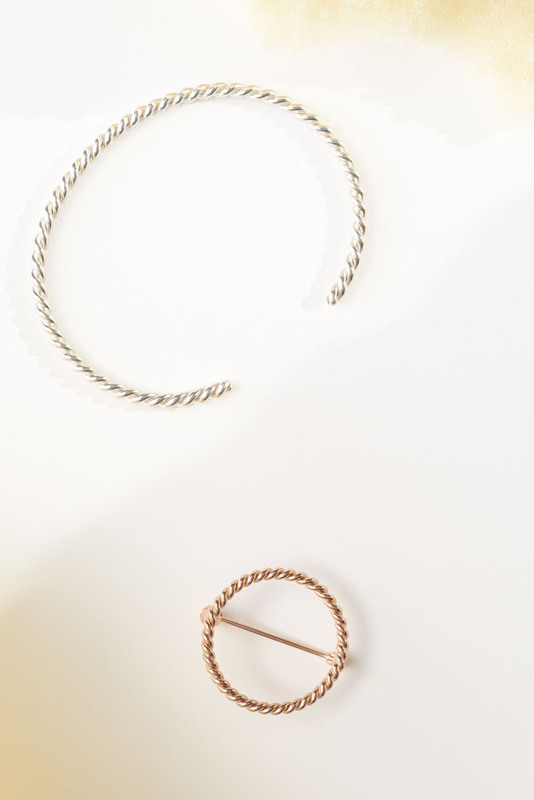 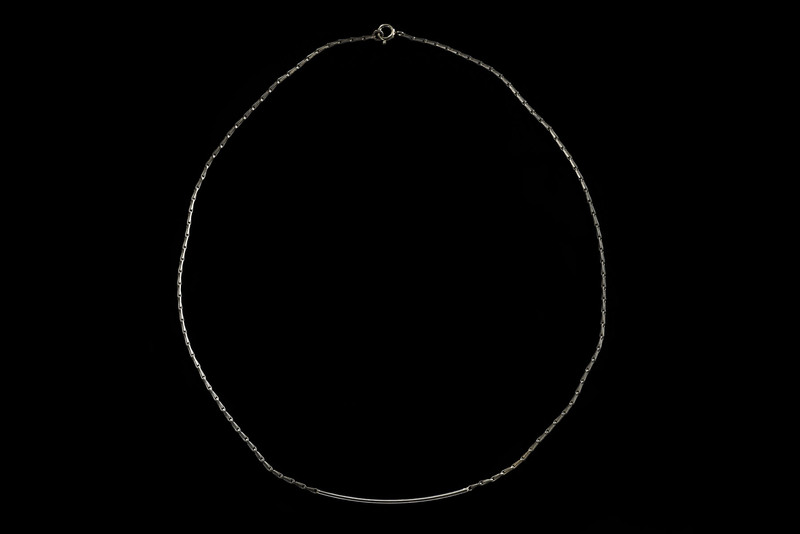 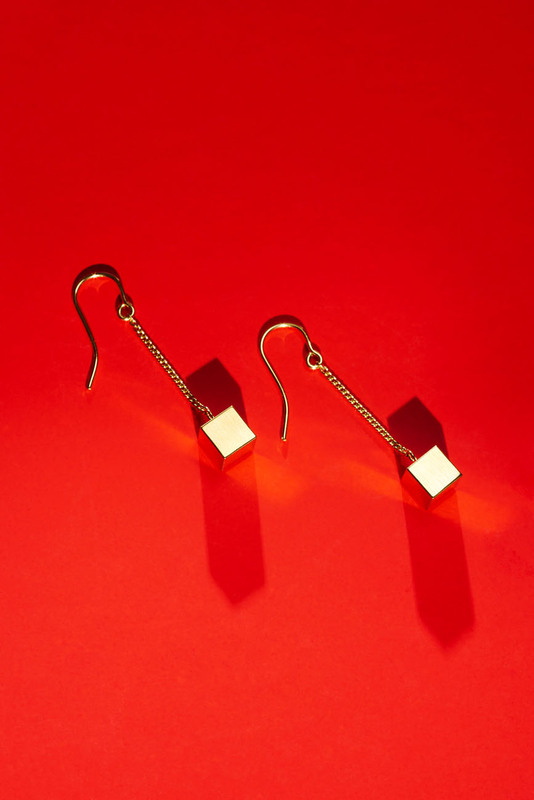 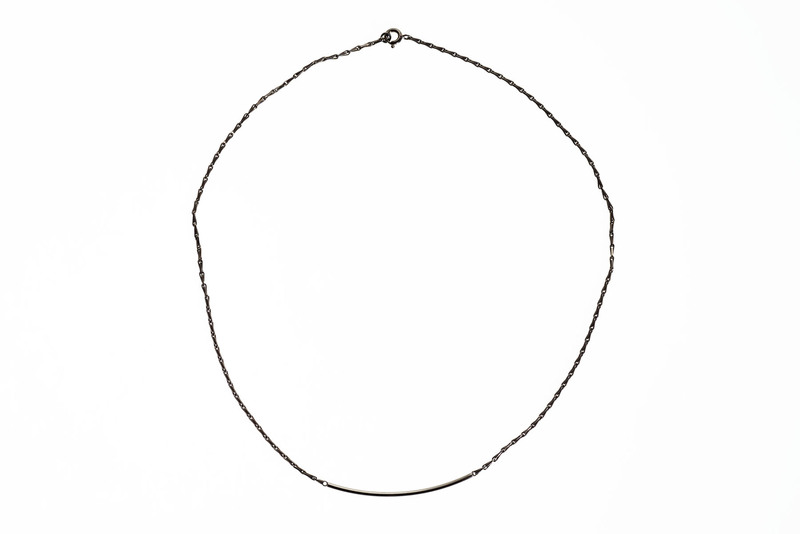 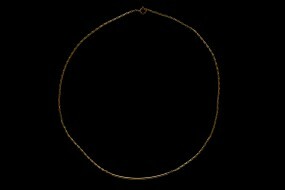 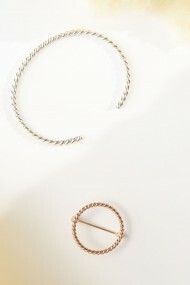 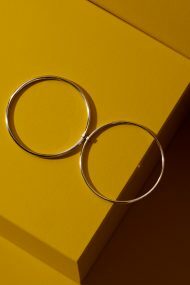 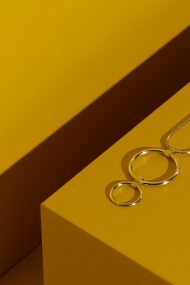 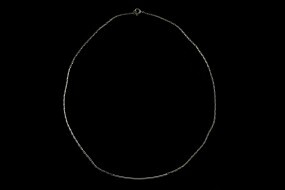 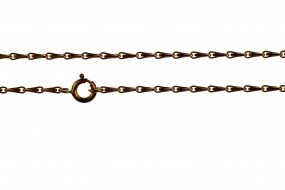 Two square wire hoops are combined to form a ring or a pendant holding a movable glass sphere and hanging on a belcher chain. 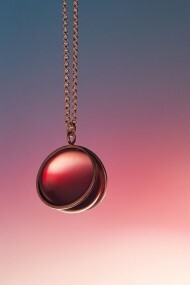 The spheres are manufactured in a traditional glass grindery in the South of Germany and come in three colors. 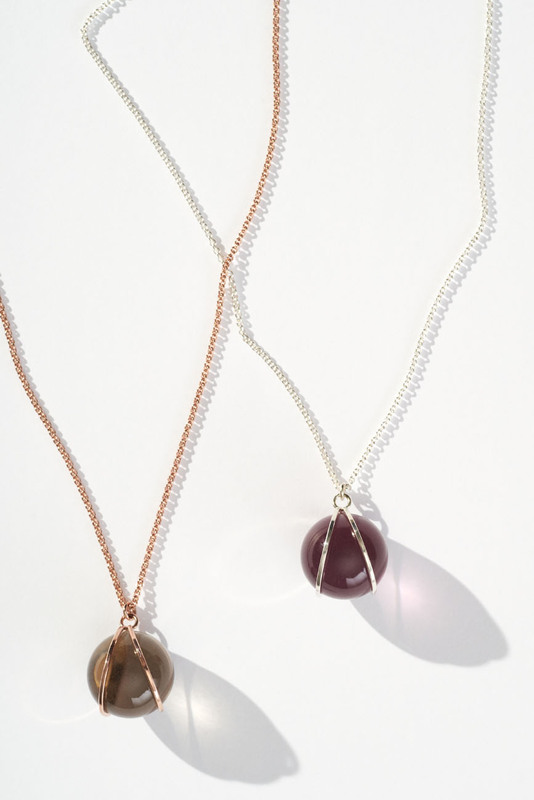 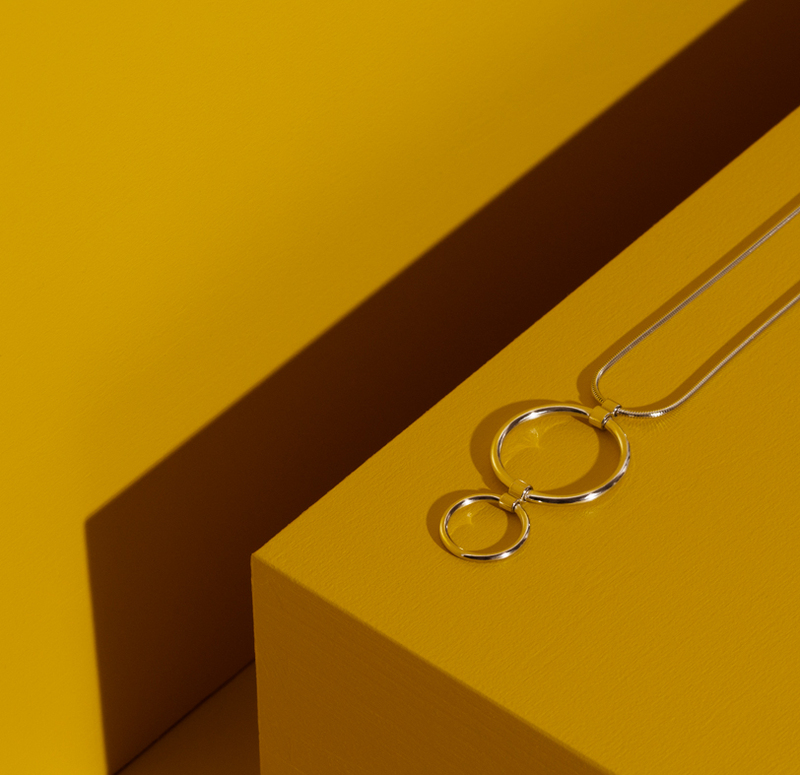 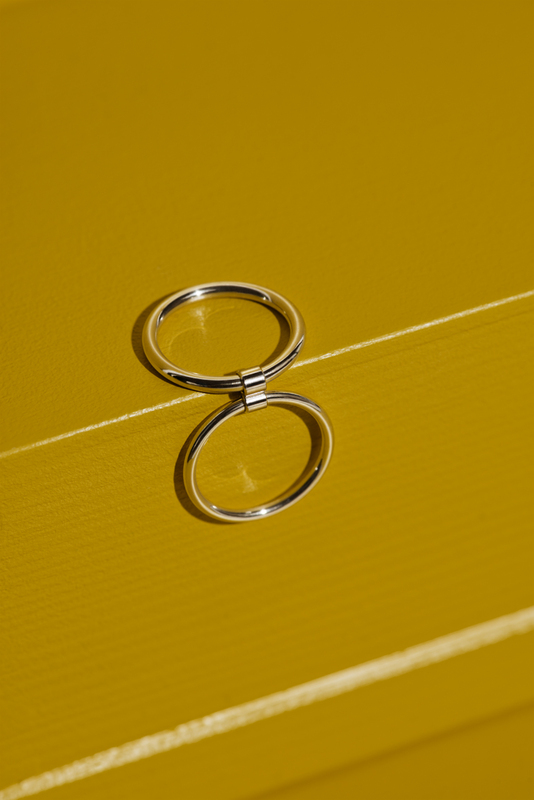 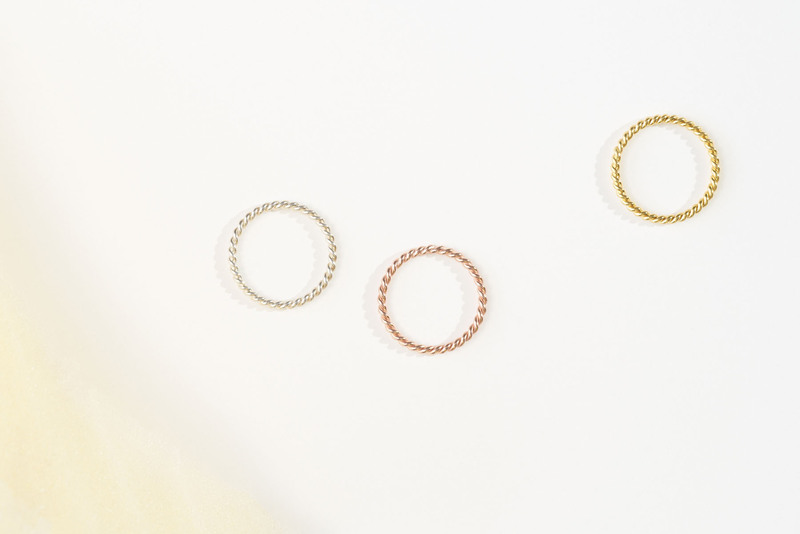 Available as necklace and ring (without glass sphere) in sterling silver and 18-carat yellow or rose gold vermeil.